Better late than never, I am excited to be linking up today for the Five on Friday! I thought the days of "snow days" were long gone for me, so you can imagine I was pleasantly surprised when I received an email yesterday afternoon announcing that our office would be closed today. I have been really run down the last two weeks, so this day has been just what the doctor ordered. I have used it as a day to relax and get things done. I started my morning with a barre class, came home and began prepping dinner (crockpot carnitas with homemade chimichurri sauce in cauliflower tortillas...will definitely share the recipe if it's good! ), attacked a mountain of laundry, and have just enjoyed the slow paced day and watching the beautiful snow come down from the comfort of my cozy home! I think cookies are in store next (because calories, carbs, and sugars definitely DON'T count on snow days....)! This cape first hit my radar a few days ago when Ashley posted it on her blog! I've been wearing a lot more neutrals this fall and winter, but went gaga over this cape! The girlie girl in me just can't resist the pretty pink and it has Valentine's Day written all over it! 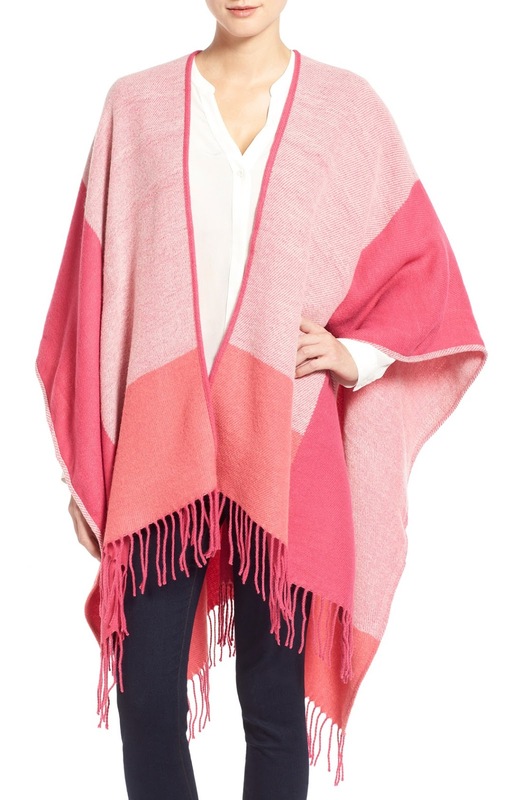 I have a Nordstrom gift card from Christmas and at under $35, this cape was a no brainer! I can't wait for it to arrive! 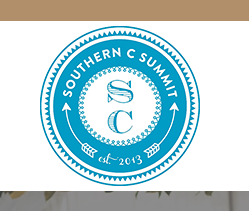 I am so excited to share that I just registered last week for the Southern C Summit! I was invited to attend this creative conference in Charleston last year, but couldn't take 3 days off of school. This year is a different story, and I can't wait to return to Charleston, with one of my besties, Erin of Attention to Darling Blog, by my side! Any of y'all going!? I would love to plan some time to catch up during the conference! I don't know about y'all, but I love it when I find a new blog to follow. Last week, I found Samma's blog Spice & Sass, and couldn't resist sharing the love! Her blog chronicles her day to day life, including that of her ahhhh-dorable family, and has a great dose of Southern! I found myself engrossed last week, reading and reading her posts! If you haven't checked out this down-to-earth blog, you must! How stinkin' cute is this DIY tumbler? I need another cup/tumbler/waterbottle like I need a hole in my head, BUT, I just might have to get crafty and make this one! I also have a bachelorette party for my cousin coming up in March and think making a set of these for all the girls could also potentially be fun for that weekend! I'll keep you posted! Has snow storm Jonas hit where you are? You are going to love the summit! I wish I could join. Another big Samma fan here, too! I just bought that cape too!! I love it! Hi Allie! Erin emailed me this week to introduce herself and let me know that the two of you will be at Southern C! 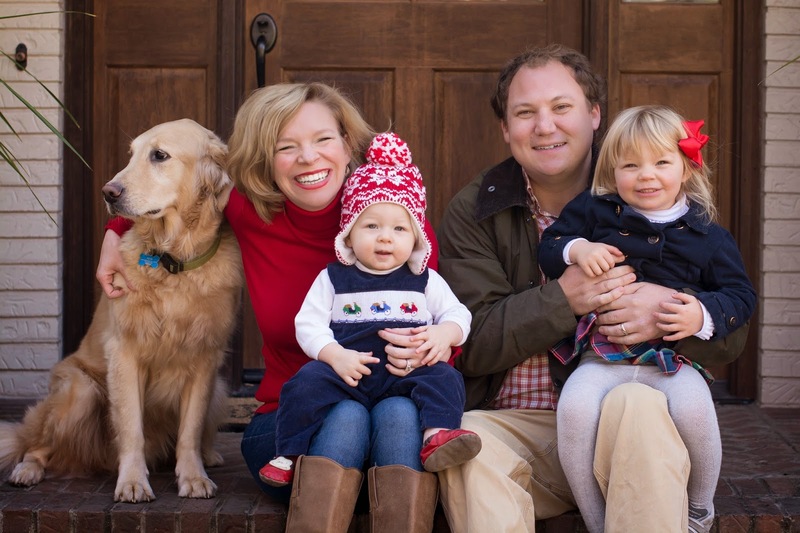 I live in Charleston and look forward to meeting both of you (and now following along with your blog). Have a great weekend! I am ordering that cape now. How adorable! 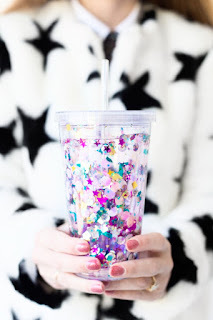 Also, that DIY floating glitter tumbler reminds me of the fun water cups I had when I was a kid! Samma is fabulous - I've followed her blog for years :) Enjoy your snowy weekend! Snow days are the best! I love that pink cape!! Loving that cape and tumbler!!! Yay, SO excited for The Southern C Summit with you!!! Seriously counting down the days! Charleston here we come!